I love slow summer days spent entirely in boardshorts and flip-flops, but there are times when your feet need a bit more coverage without getting all hot and bothered. The Phillips from People Footwear uses no-sew construction to combine a proprietary molded-foam base with a digitally-knit upper, creating a highly-breathable, super-light reinterpretation of your classic Chucks. Ideal for impromptu bike rides to pick up some fish tacos or replenish the backyard cooler. 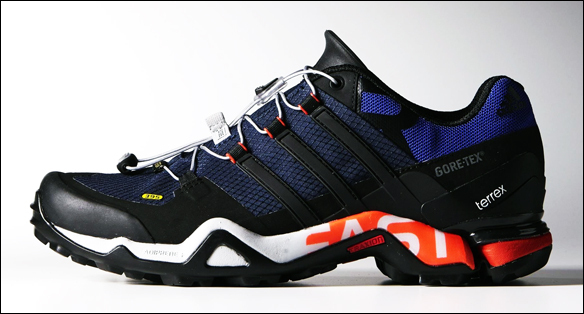 I’m a sucker for great looking trail shoes, and the new adidas Terrex collection certainly fits the bill. With a range of features including waterproof & breathable GORE-TEX liners, speed lacing, Ripstop casings, energy-returning boost midsoles, and chunky Continental Rubber treads, you’re bound to find a great looking shoe that will keep you sure-footed in any inclined activity that you’re inclined to do. A shoe named after an astronaut dog? Why not. Just over a decade ago, Nike released the ZVEZDOCHKA, a collaboration with industrial designer, Marc Newson, based on his experience with the Russian Space Agency. 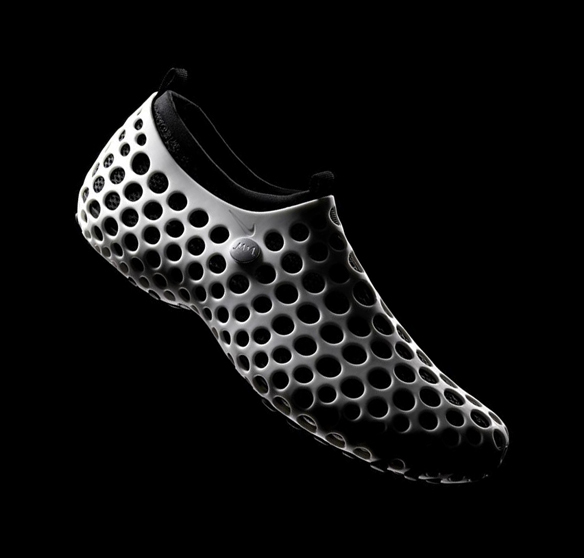 One of the first shoes to be entirely computer-modeled, this revolutionary concept combined four interlocking modules that delivered versatility and increased sustainability (as it relied less on harsh adhesives). To mark its tenth anniversary, the ZVEZDOCHKA has been re-released in its original five colorways – ready to be your go-to whether you’re heading into orbit or just to the park with your dog. How. Awesome. Are. 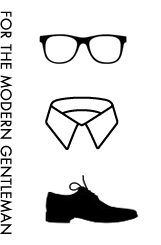 These? Camper’s Bowie is a perfect union of leather lace-up and two-tone rubber outsole. Simple, clean, and sharp as hell, it’s like finding a suit-friendly pair of Air Jordans – and I seriously need to add them to my lineup. I just registered for my second GranFondo – a beautiful 122km ride from Vancouver to Whistler, with a total elevation gain of 1,700m. While I’m all set in the bike and helmet departments, I’d love to pick up a new pair of cycling shoes, and I’ve got my eye on the Rapha GT. 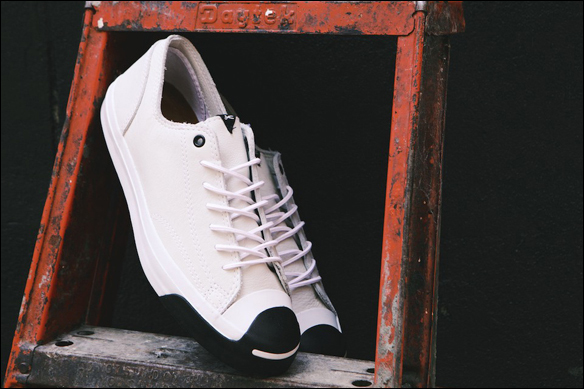 With a carbon sole for lightness and stiffness, and a perforated Yak leather upper delivering soft, water-resistant durability, these shoes promise to become even more comfortable with time as they contour to the shape of your foot. Added bonus – Rapha’s impeccable styling will help me look presentable as I pass out crossing the finish line. As of today, we are only a week away from a very special morning in the GregoryWest home … when the eager patter of feet races down the stairs to watch five back-to-back NBA games. 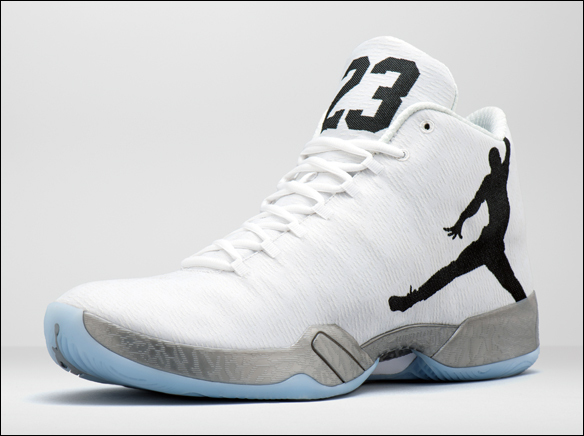 I’m especially looking forward to LeBron’s first trip back to South Beach; a Western Conference Finals rematch between the Spurs and a regenerated Thunder; and seeing the new Air Jordan XX9 in action. At just 12.75 ounces, this is the lightest and strongest pair of Jordans ever made; incorporating a one-piece woven Flightweave upper (based on a 250-year-old process), and a reengineered carbon fiber FlightPlate. The XX9s come in a variety of colorways, with my favourite being Kawhi Leonard’s – simple, clean design with a light-as-air-looking translucent outsole. Given the larger Christmas Day stage, I’m sure we’ll see plenty of elevated performances, as well as a few instances of this curious phenomenon. 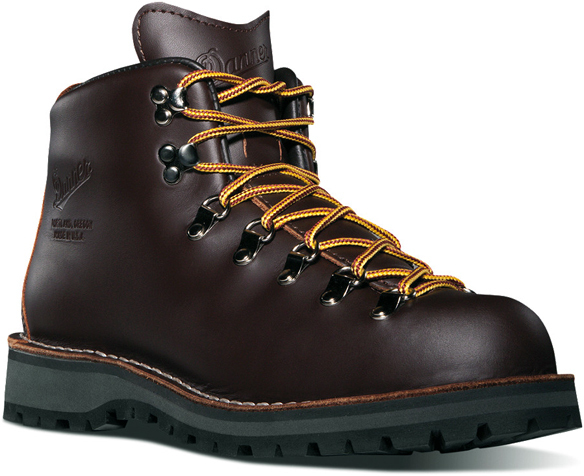 Danner boots trace their heritage back to 1932 and a five-person workshop handcrafting work boots during the Great Depression. More than eighty years later, the company is still making impeccable footwear by hand, combining their timeless design with modern technologies such as GORE-TEX and Vibram. When it’s all said and done, your feet are warm, dry, and comfortable while you look like you just scored a few gems in your sartorially-inclined grandfather’s attic. 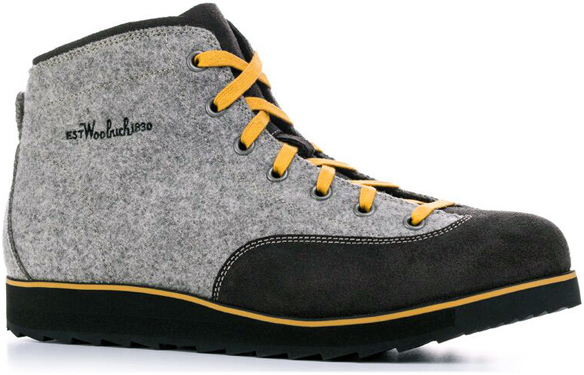 Two of my favourites are the Mountain Light and Williams Chukka.